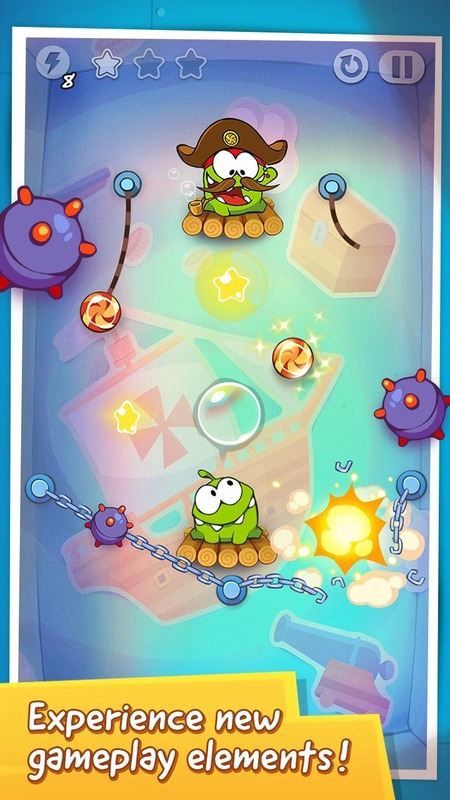 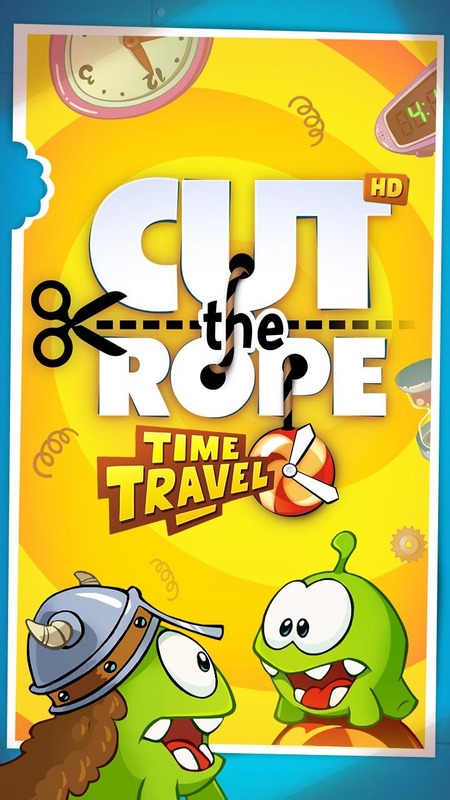 ZeptoLab has released the latest episode in its highly popular Cut The Rope franchise this morning, with Cut The Rope: Time Travel. 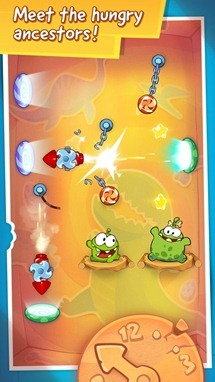 No, metaphysics are not involved, sadly. 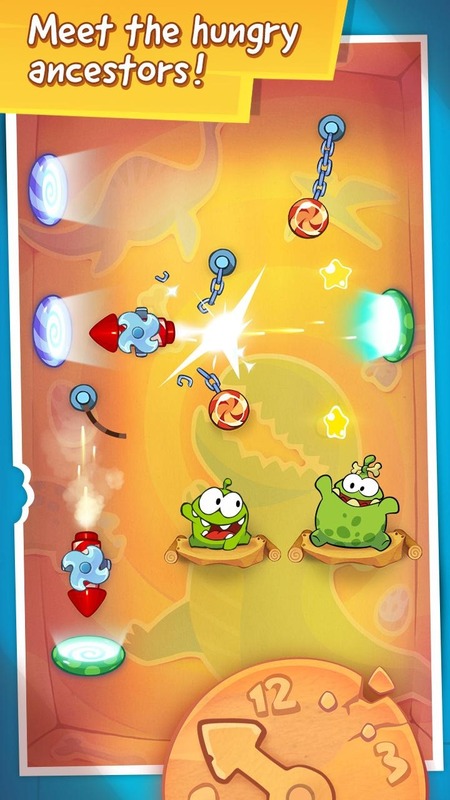 The new game doesn't bring too much in the way of overhauled mechanics (though ZeptoLab promises a few new elements), but is more of a content pack. 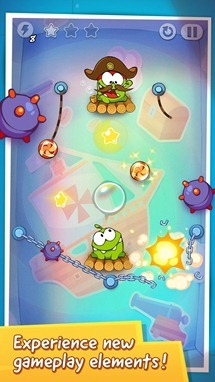 The one major change to gameplay is that levels now feature two creatures to feed, which in turn increases the complexity of the game. 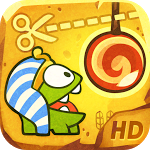 Our chartreuse hero Om Nom will snip and munch his way through six new themed locations - including the middle ages (... which is now a place), the renaissance, a pirate ship, ancient Egypt, ancient Greece, and the stone age. 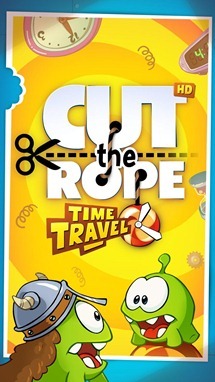 You can pick up the game on the Play Store now, in free and HD editions, the latter costing $0.99.